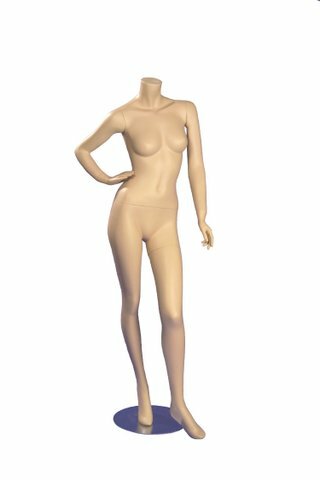 Fibreglass female mannequin - Fleshtone. All mannequins are supplied with foot and calf fittings. The calf fitting is required when the mannequin is fitted with shoes. Some assembly required. Height: 160cm. Bust: 80cm. Waist 61cm. Hips 85cm.